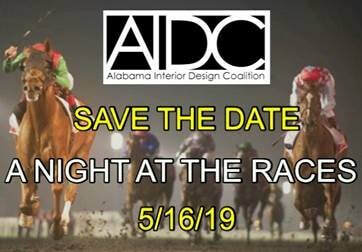 AIDC is a not-for-profit, all volunteer organization whose mission is to provide support for Alabama's legislation allowing registration of Interior Designers who practice in the State of Alabama. AIDC members include practicing professionals in design firms, independent designers, allied industry professionals, interior design faculty and design students. AIDC serves as an advocate for the Registered Interior Design profession in Alabama. Participation in the Political Process is an on-going, year round business necessity. It is imperative that AIDC maintain a visible and vocal presence in Montgomery to safeguard the Practice Act and to continue to move our profession forward. ... and a big thank you to all of our sponsors!